Custom upholstery is not only a form of art for your home, but also a very precise technique that involves years of training at a custom upholstery and custom window treatments workshop. It often begins with a careful deconstruction of the piece of furniture to be upholstered. Untrained hands can easily crack, split, strip, or otherwise damage the wooden frames of their favorite pieces of furniture. A professional upholsterer has the knowledge, tools, skills, and experience to dismantle a piece without causing irreversible damage to it – and they will also be able to reinforce it during the reupholstering process. Sometimes, upholstering a piece of furniture involves drilling some holes and making some structural modifications to get the look you want. Unless you’re willing to risk your piece of furniture, this is best left to a professional upholstery workshop. A custom upholstery workshop is also able to assess the condition of the cushions before professionally reupholstering it. This must be done by removing all layers of fabric from the furniture, which is a step that many amateur upholsterers and DIY upholstery guides skip. 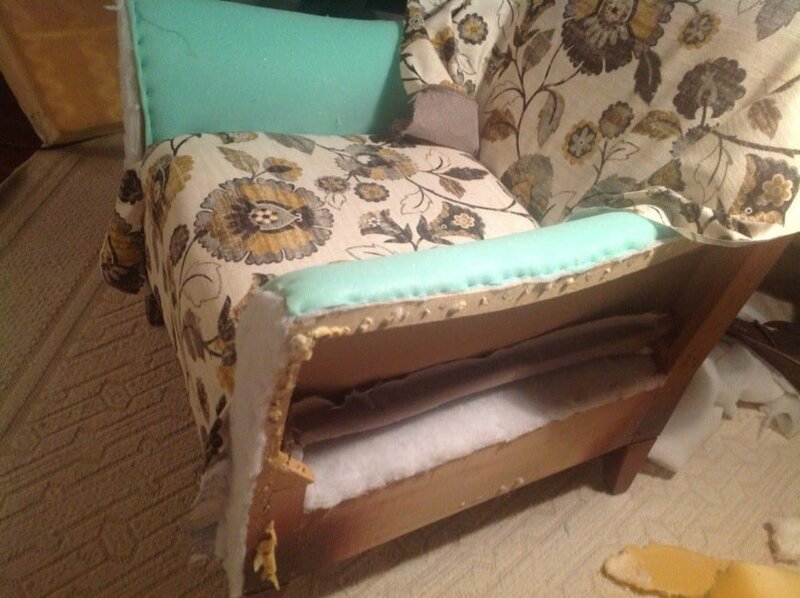 A professional upholsterer will determine if the cushions need to be replaced due to mold. They can also replace the foam if the years of sitting and lounging wear and tear have deteriorated its condition. Materials are also quite important. Professional upholsterers have access to many unique tools and materials that are vital to creating good upholstery. For example, while you can find pneumatic staple guns and staples at big-box stores, you may have a very hard time finding the right kind of stable gun suited to your task, and upholstery staples (thin staples that lie flush with the wood) are near impossible to find at times. Professional upholsterers also make use of precise measurement tools, and even computer-aided design (CAD) software to ensure that fabric is being used effectively and efficiently, and the final product will be beautiful. Upholstery is not a quick process, yet many DIYers can be hasty in their work. When it comes time to re-cover the piece of furniture, many amateurs skip right to the fabric component. You may find a piece of fabric that speaks to your interior design aesthetic, but it may be the wrong weight and be ill-suited for upholstery. With a staple gun in hand, making precise cuts, pleats, and folds is a difficult tasks and mistakes will lead to unsightly results. Remember, professional custom upholstery requires years of intensive training in a workshop that specializes in custom upholstery and custom window treatments. In order to protect your favorite furniture and restore or transform it, you’ll need the help of a professional – or you may just end up putting your favorite piece out on the curb.